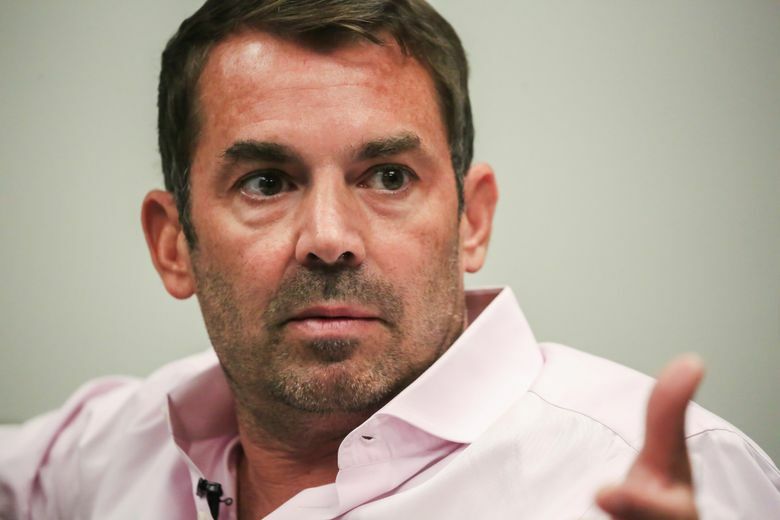 Chris Hansen, the lead proponent for building a new sports arena in Seattle’s Sodo District, says he would not try to block a $600 million plan to renovate KeyArena for NBA and NHL use if it is approved. But the entrepreneur, in a wide-ranging interview with The Seattle Times on Tuesday, said he’s open to a two-arena solution for the city and will keep pushing his Sodo plan for at least an NBA franchise. Hansen said he wants the city to conditionally agree to sell him part of Occidental Avenue South so he can make his project site “shovel ready” and give him a better chance to attract teams. The group was denied a street-vacation request in a 5-4 city-council vote in May 2016. “If the city wants to pursue that and build an arena there, that’s OK with us,” Hansen said of the KeyArena renovation proposed by the Los Angeles-based Oak View Group. “It’s their asset. It’s not our place to tell them what to do. Hansen said his ongoing five-year Memorandum of Understanding (MOU) with the city and King County, which expires Dec. 3, “has effectively expired” and added that his group has “told the city we would not sue” if the OVG proposal is accepted and finalized before that date. Nevertheless, the city council is expected to wait until after Dec. 3 before deciding whether to ratify a new MOU between the city and OVG on KeyArena. Tuesday’s interview took place at Nordstrom corporate headquarters in downtown Seattle. Also present were members of Hansen’s investment team, including former Sonics player and executive Wally Walker and brothers Peter and Erik Nordstrom. 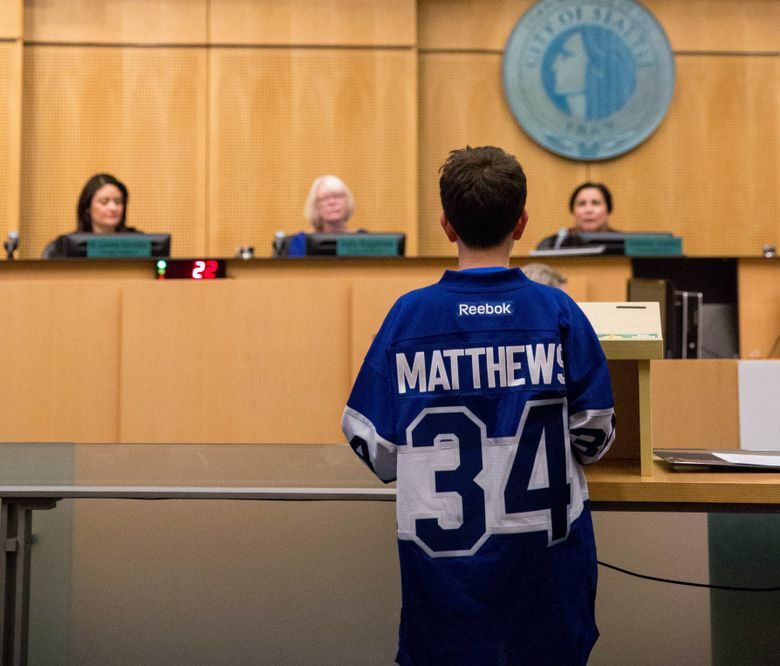 It was Hansen who requested the interview, coming just hours before he testified at a public hearing Tuesday night at city hall hosted by the city council’s Select Committee on Civic Arenas. Hansen has changed his initial proposal for Sodo to also now be 100 percent privately funded on construction. More recently, he also proposed a $100 million renovation of KeyArena into a downsized, split venue for concerts and music. That project would be done only once a Sodo Arena is approved and built. Hansen said his new offers effectively supersede his current MOU. The city’s transportation department has yet to forward Hansen’s proposals to the council for review and has postponed activity on it for the time being. Hansen said his group has answered all questions pertaining to the latest Occidental request and accused the city of stalling since February on getting the amended proposal in front of the council. But an email, obtained after Tuesday’s interview by The Times, from Beverly Barnett — who handles such street requests for the transportation department — to city-council member Sally Bagshaw, states that Han­sen’s group delayed the process by refusing several requests in March for additional information. The email, sent Tuesday afternoon in response to a query by Bagshaw about the status of the Sodo proposal, states that it is still five to six months from being ready to show to the council. She added that various city departments and government agencies also had commented on Hansen’s upgraded proposal and added that he was asked to respond to them. “The petitioner has not yet provided us a response,” she wrote. Barnett said Hansen’s group also had not provided an update on its “community engagement,” nor additional details on discussions with other sports-venue operators in Sodo. The Mariners, Seahawks, Sounders and trade-show groups have told the city they want a more “binding” event-scheduling deal with Hansen’s group, though he contends it is too early for such a pact. The city has not been receptive to Hansen’s updated KeyArena offers, saying they came too late. Hansen was asked Tuesday why he waited until last month, on the eve of the announcement of a draft MOU between OVG and the city, to submit his downsized KeyArena modification plans to the city. The city said the plans should have been submitted in January during a Request for Proposals phase. But Hansen said his group knew that would be the response the city gave him. “They would not have been receptive of this proposal at any time,” he said. Hansen added that the RFP process was narrow in scope, demanding a modified KeyArena be for NBA and NHL teams. But Hansen said he’s heard from many in the music industry that the city needs a mid-sized concert venue and felt this was an idea that needed to be heard. Hansen also said he has yet to bring on additional investors because there’s no need at this time. His group already has invested upward of $130 million at the Sodo site and hinted they’d likely use collateral to finance the rest of the venue once they secure a team. Hansen said he has had conversations with potential NHL owners, but nothing came to fruition. He acknowledged he’s more passionate about the NBA than hockey but said he remains open to doing a deal with any prospective NHL owner or team. On the NBA’s possible return, which is believed to be further down the road than the NHL, Hansen said recent comments by league commissioner Adam Silver that expansion is “inevitable,” plus comments elsewhere in the league suggest a basketball team might be closer than anyone thinks. Hansen said his group plans to invest significantly in any NBA franchise but would not impose that as a condition on any team coming. Hansen said he does not think Silver or the NBA’s head office holds lingering resentment toward him for secretly funding an anti-arena petition in Sacramento in 2013 to try to thwart a new arena there so he could move the Kings to Seattle. He was fined $50,000 for violating California electoral laws. Hansen noted that Silver has already indicated he considers the episode over with and that it would have no bearing on Seattle gaining a team down the road. Hansen’s partner, Walker, said he’d spent a dozen years on the league’s board of governors as the Sonics’ representative and continues to hold regular, high-level talks with NBA officials.